Welcome to our website, dedicated to our first born son, Ka'ēo Jr. and his journey toward full recovery from autism. 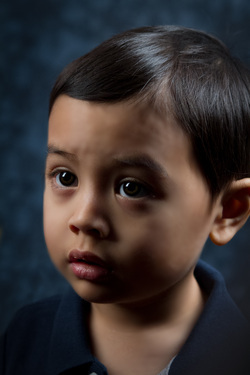 When Ka'ēo Jr. was just 21 months old, a clinical psychologist told us he quite possibly has an Autism Spectrum Disorder. He was later officially diagnosed with Mild to Moderate Autism when he was 27 months old. It has been an amazing ride in these 6 years Ka'ēo Jr. has been with us, and we are grateful for every second. Our initial intention when building this website was to give our friends and family a way to connect with us and participate in our journey with Ka’ēo Jr. from wherever they are across the globe. We want to provide our loved ones with as much information as possible about autism and the various treatment strategies we believe will best help Ka’ēo Jr. toward his recovery from autism. As we put our story to print and our website grew, we realized our story and experiences could possibly help other families of children with autism. We also realized the value our website brings to people who would like to help us with Ka’eo’s therapeutic and biomedical programs, either by asking to volunteer in our home-based Son-Rise Program or by ﻿donating﻿ money to his program. We are still "building" this website, and we will constantly update it to bring you the latest news about Ka’ēo’s progress, new videos, new photos, and new information we’ve discovered about autism in general. We’ve also posted various Blog entries to give you a better understanding of where our mind and hearts are as we venture through this magical world of autism. Thank you for visiting, for caring, and for supporting our little angel. Why are there Ads on this website? To raise additional funds to support Ka'eo, Jr's Son-Rise Program, we've allowed Google to place ads on our website. It's called Google AdSense and it pays you based on traffic to your website and how many times people click on the ads. For more information, please visit Google AdSense.